The Tablet is a weekly magazine that covers all the important issues relating to current affairs, politics, social issues, literature and arts. Buy a single copy or subscription to The Tablet magazine. The magazine has been acclaimed by many, for its sensitivity while dealing with social issues and other highly debated topics. 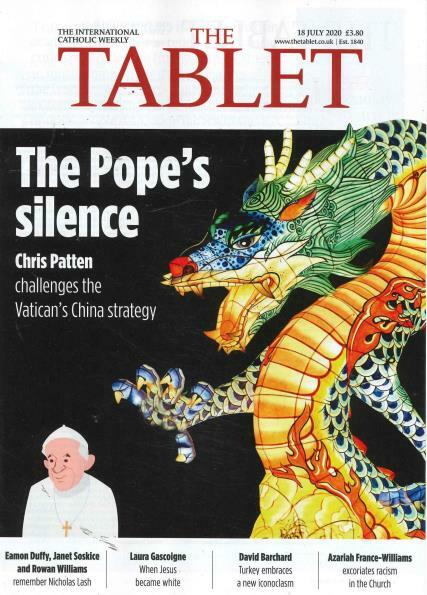 The Tablet talks about current affairs and is perfect for those who want to be aware of their surroundings. Its emphasis on politics than on society and it often connects both these spheres of life. What readers ultimately get is an opinion which is non-biased and often challenges the conventional attitude. The Tablet has an editorial section and readers are given the option of sending in their views regarding it to the magazine. The magazine often prints the interesting articles of the readers in the next issue. It has classifieds, where they only feature advertisements from reliable sources. The Tablet also features puzzles which the readers can indulge in, to take some time off. There are book and art reviews, which help the reader to make the choice of the right one to buy. It has been a trusted magazine for a very long time and it therefore, features stories that are genuine. It often includes a section especially for students and helps them know more about the general happenings around them. The magazine is easy to understand and focuses on issues that are relevant to all fields of life. The Tablet promotes awareness about all the aspects of everyday life and encourages the readers to link these aspects to one another for a better understanding. It is a must for all, so get started on it now.